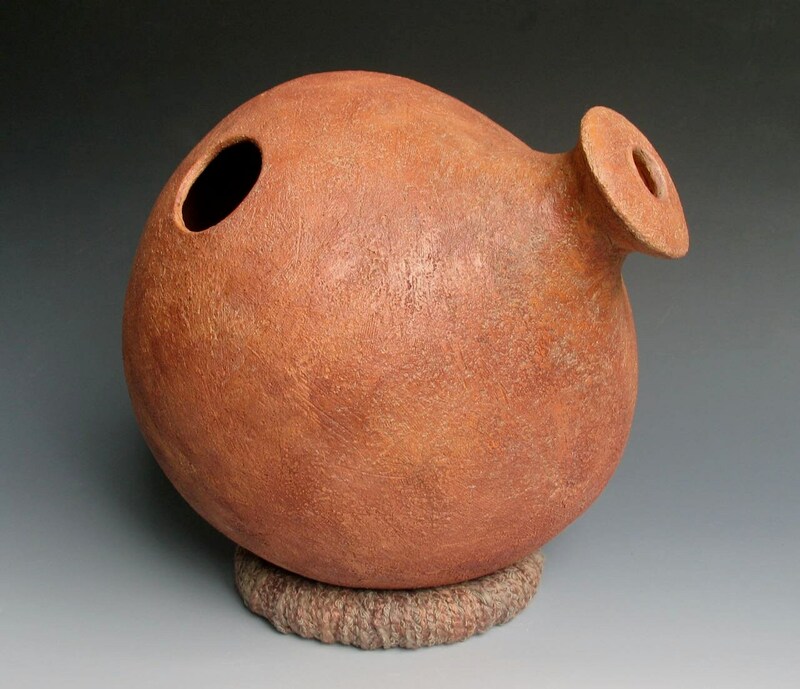 Inspired by udu drums created by the Igbo people of Nigeria. Traditionally, these drums are made and played by the tribal women. 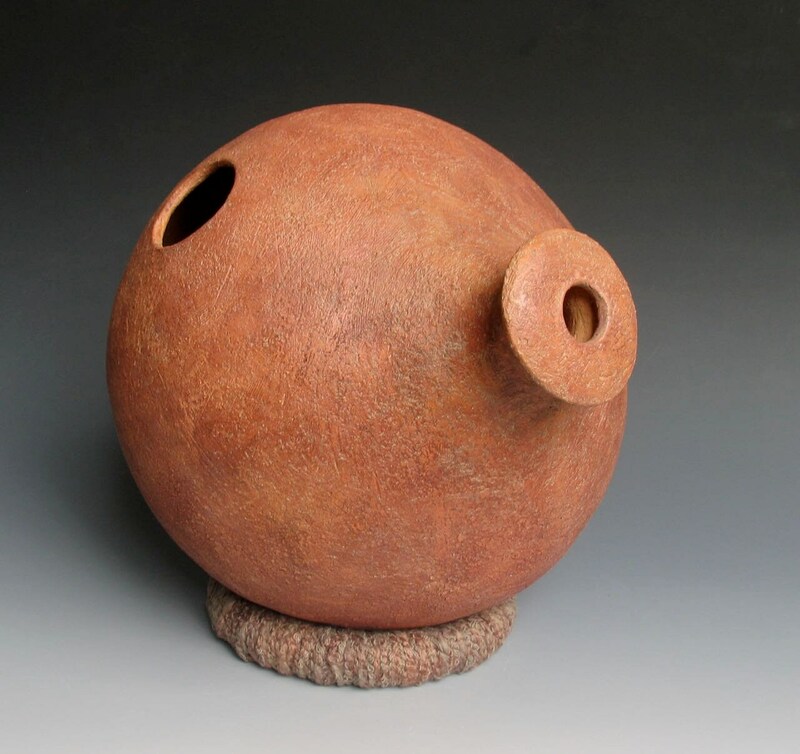 My drums are built with the same coil-building techniques used by the Igbo women. These drums can be held in your lap and played, or they can be played while sitting on a support ring on a solid surface. 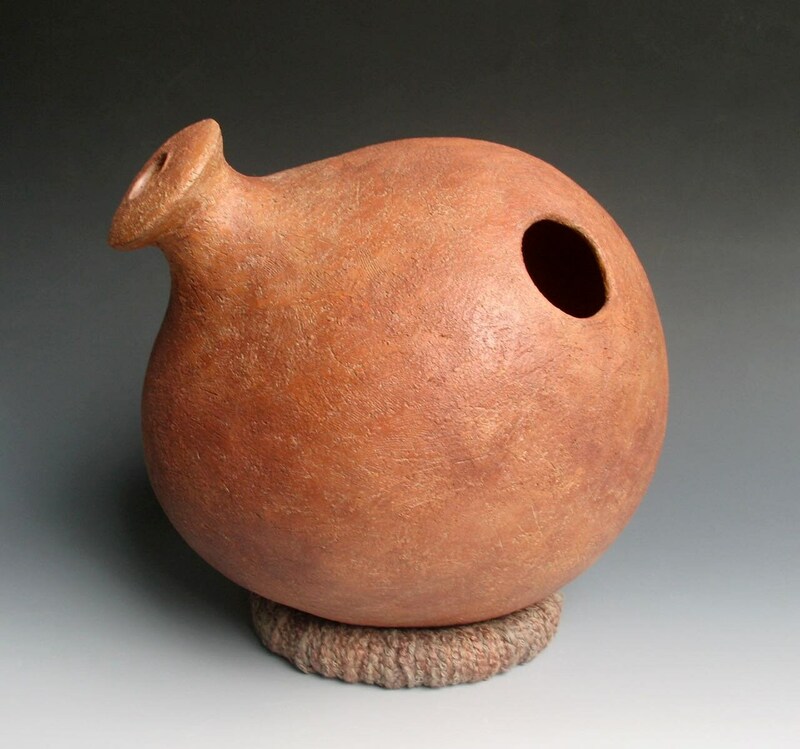 Deep tones are produced by striking either of the holes, while lighter, varied tones are produced by striking the walls of the drum with either your palm or fingers. Each drum includes a free support ring. (I have several different color rings, so if you don't like the color shown, please ask about available alternatives.) 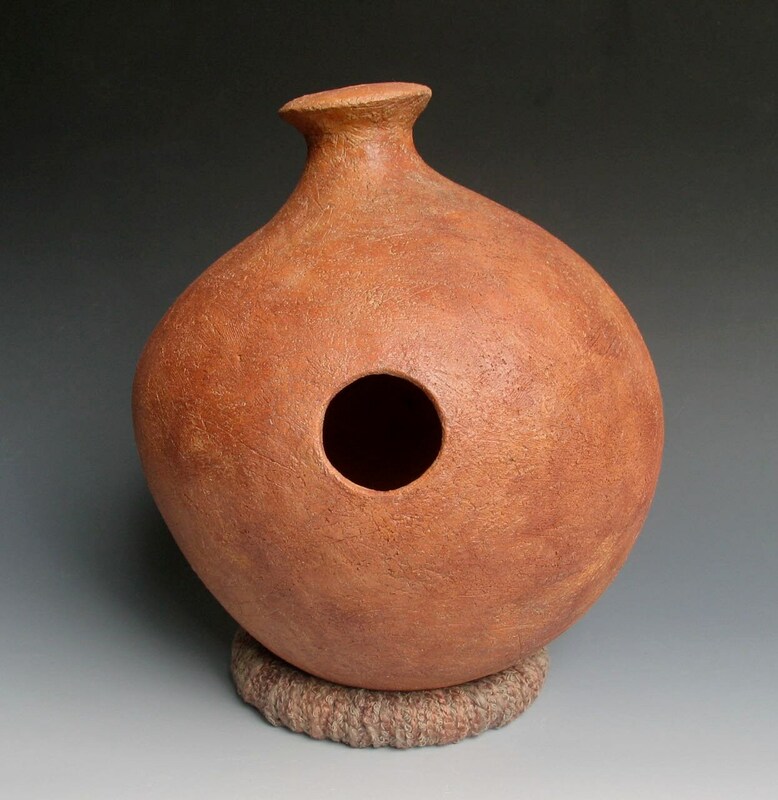 Golden Earth Udu measures 13 inches tall, is 11 inches in diameter and comes with the support ring shown in the photo. We are pleased to offer free shipping on this item.